Faster, healthier, and more economical than most microwave bag popcorn. Use regular or gourmet popcorn with terrific results — virtually no unpopped kernels. 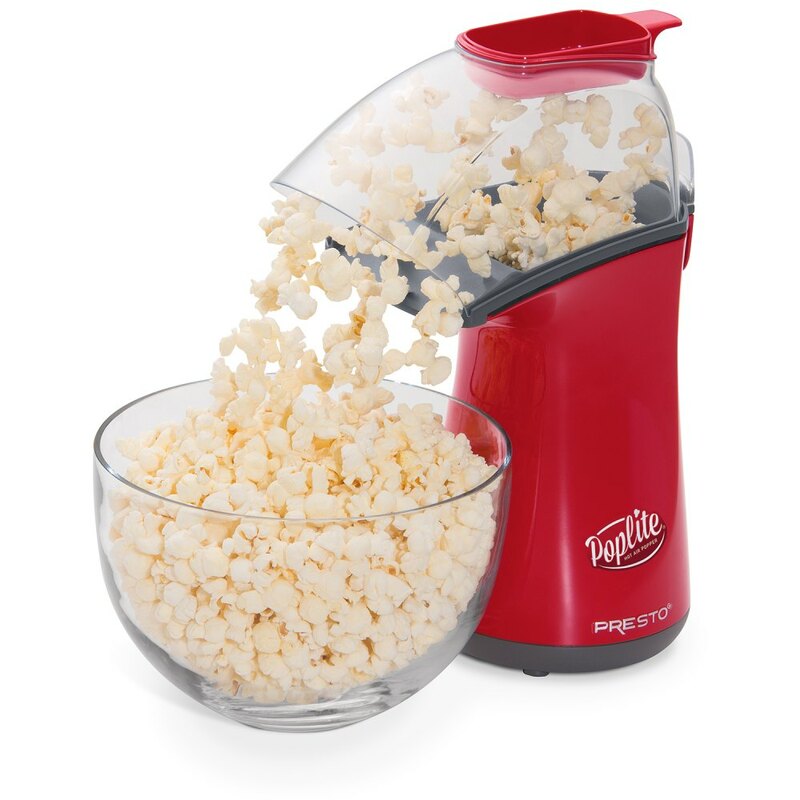 Pops up to 18 cups of gourmet popcorn in less than 2 1/2 minutes. Hot air popped corn is all natural with no artificial flavors or added salt. Zero grams of saturated fat per serving.